Over the last two months, you might have noticed that there was quite a bit of online debate concerning the Trinity. These conversations are far from over, but the initial online surge does seem to have subsided at this point. For that reason, I have wanted to share some of my reflections on what has transpired. This isn’t all that can or should be said on the topic, and perhaps some readers may think it too much. So at the risk of saying both too little and too much, here are eight take-away’s from the recent Trinity debate. 1. On Nicaea: Before this debate started, I would have identified myself as a standard fourth century Nicene Trinitarian. I haven’t moved from that identification but own it all the more fervently (and with greater clarity) as a result of what has unfolded over the last two months. I believe in eternal generation, a single divine will, inseparable operations, and the whole Nicene package. I have probably done more reading on Nicene Trinitarianism in the last two months than I have ever done previously. It has been good for me, and I am thankful to God for it. There are certain elements of this controversy that have been quite unpleasant, but I wouldn’t trade the growth that’s come from it for anything in the world. 2. On Eternal Generation: I believe this more profoundly than I ever have as a result of this debate. The reason is primarily because I was driven back to scripture and to the creed. In June, I read the entire Nicene Creed in Greek. I had never taken time to do this before, having only read it in English until then. One thing that is clear in the Greek is that the Nicene fathers were interpreting Johannine terms in saying that Jesus was the “only begotten” (monogenes) and “begotten not made” (gennao). It is a commonplace among New Testament scholars to reject the Nicene Fathers’s interpretation of these terms and to say that monogenes means “only” or “unique” and thereby to remove this as an exegetical proof for generation. That commonplace assumption is mistaken. Nevertheless, this mistaken notion has exerted an inordinate amount of influence over current evangelical attitudes about eternal generation. Eternal Generation neither stands nor falls on the basis of these terms alone. Nevertheless, the Nicene Fathers understood this Greek terminology better than modern New Testament scholars do, and a colleague and I intend to submit an article for publication in the near future to explain why. 3. On Terminology: One of the results of the recent trinity debate is that the term “eternal functional subordination” (EFS) has been substantially redefined. Before this controversy, EFS wasn’t one view. It was umbrella terminology for a certain species of views that shared in common the idea that the Son submits to his Father in some qualified sense from all eternity. The label EFS ranged from those who held fairly uncontroversial views (e.g., that the Son submits in the economy) all the way to those whose views are the particular focus of recent discussion (e.g., Grudem and Ware, who differ from one another in important respects as well). Perhaps a single example to illustrate the point. 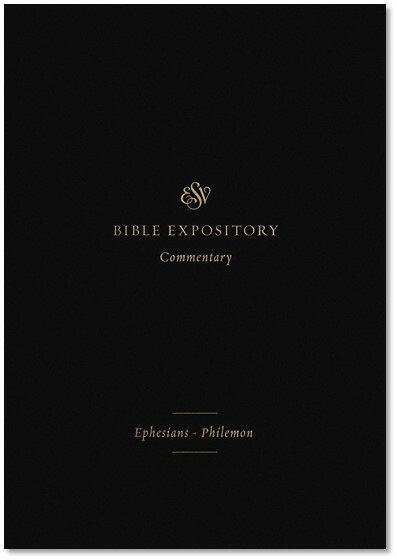 Before this controversy, Don Carson’s expositions of John’s gospel would have been labeled EFS. Those are the terms he used for his own position. In the NIV Zondervan Study Bible, for example, Carson writes: “He is functionally submissive to the Father and does and says only those things the Father gives him to do and say… The functional submission of the Son reaches back into eternity.” Clearly, this is EFS. So why haven’t Carson’s views been a point of controversy in current debate? Because his version of EFS is not viewed as implicating Nicene formulations in the same way as other people’s are. Carson’s view fits under the EFS umbrella, but it is not exactly the same as other views under the umbrella (e.g., Grudem and Ware). And there are many others. Failure to see how these terms have been used before and after the debate has been the source of no little confusion. For example, I have been asked recently if I now recant my belief in EFS. The question requires a careful answer. I have to ask what they mean by EFS. If they are asking whether I recant the idea that the Son submits to the Father in some qualified sense from all eternity (like Carson or as in the covenant of redemption), then the answer is no. I don’t recant that idea. If they are asking whether I recant the specific formulations of Grudem and Ware, my answer is that I never held their precise views—even though I suppose we both sit under the broad umbrella of what used to be called EFS. I do not view Grudem and Ware as outside Nicaea, but neither do I agree with some of their particular formulations. It seems that the recent debate has shifted this terminology. Detractors of EFS now use those acronyms not as umbrella terms but as specific references to the views of Grudem and Ware. Sometimes they also intend to say that EFS entails denial of homoousian. That is a shift in terminology that needs to be noted and clarified in discussions going forward. One final note on terminology: I think it is good and right to leave behind the language of “subordination” as a label. It’s just too fraught with historical baggage no matter how many qualifications we add. I think writers on both sides of this question agree to this, so I am happy for the term EFS to go the way of the Dodo. No side of this debate intends the Arian variety of subordinationism, but the use of the term “subordination” does seem to muddy the waters on that point. That doesn’t solve the substantive issues in question, but perhaps it will clear away some confusion. There is, in the relations of origin of the triune God, an irreversible taxis to which the obedience of the incarnate Christ corresponds in human form. It’s an eternal procession that reaches its strangely logical final conclusion in the sending of the Son. As for his submission to the Father, I don’t know what they call it in the happy land of the Trinity, but when it lives among us it is rightly named obedience. The only thing I would add to this statement is that the Bible teaches that the pre-incarnate Son submits to the Father in the covenant of redemption, and I would affirm with Swain that this teaching is an “application of orthodox trinitarian principles to the locus of God’s eternal decree” (p. 122). 5. On Gender: I am a Danvers complementarian. That view of gender is not and never has been reliant upon an analogy to the Trinity. Biblical complementarianism neither stands nor falls on speculative parallels with Trinity. It may be that some writers have pushed such analogies, but that has never been an essential ingredient of Danvers complementarianism. I encourage readers to take a look at the The Danvers Statement and note its contribution to the current debate. It contributes almost nothing because the Trinity is not even mentioned. That is not to say that the Trinity is unimportant. There are lots of important doctrines not mentioned in Danvers. It is simply saying that analogies to the Trinity are not the emphasis of what the Bible teaches about gender and sexuality. Whenever I speak or write on complementarian themes, I do not trade in speculative, extra-biblical Trinitarian analogies. I think this kind of an approach is unhelpful and unwarranted in scripture. When the scripture makes an analogy, we should strive to understand and explain it (e.g., 1 Cor. 11:3). Explaining scripture is not speculation, but even here it is imperative not to go beyond what is written (1 Cor. 4:6). The complementarian case is made primarily from texts dealing with creational and covenantal realities (e.g., Gen. 1-2; 1 Cor. 11:1-16; Eph. 5:21-33; 1 Tim. 2:12). 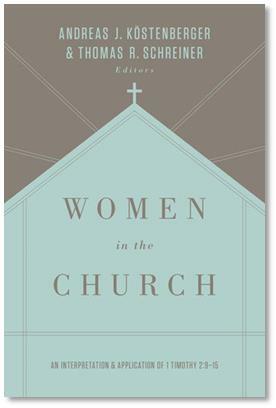 Our convictions about gender must be rooted in these kinds of texts, not in speculative analogies to the Trinity. 6. 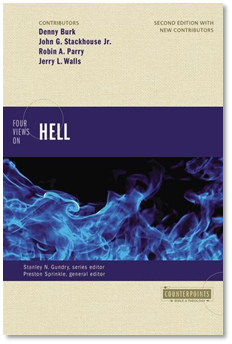 On Heresy Charges: This debate started with sharp charges of heresy against my friends and colleagues Bruce Ware and Wayne Grudem. As I mentioned above, I do not agree with all of their Trinitarian views, but I think the heresy accusations were and are false. I hold out hope for greater clarity and unity on these issues. The heresy accusations—in addition to being false—haven’t helped toward that end. I am grateful that Albert Mohler, Russell Moore, and others have made the same point elsewhere. 7. On Polemics: If we must smite one another, let’s be righteous in doing so (Psalm 141:5). Think before you tweet (Prov. 15:28). Pray before you tweet (Psalm 141:3). Not every theological dispute can be administered in 140-character bursts. Not every idea that comes into your mind is worth sharing with the world (Prov. 18:2)—much less the ones emanating from a desire to be proved right. Don’t spike the ball. Don’t twist the knife. Foster the light. Cool the heat. Listen to your critics, even those who do not have your best interests at heart. Try to learn from every sound reproof, even the hard ones. Be relentlessly biblical. Remember that the Nicene Fathers know Greek better than you do. These are lessons for all of us but mainly for myself. I could have done better at all of this in recent discussions. I will try to do better going forward. As Danvers makes clear, these truths have immediate implications for leadership in the home and in the church. We believe this to be a faithful summary of biblical teaching. There is room in the complementarian coalition for differences in application, and indeed we know that individual ministries and churches will carry out the Danvers vision in ways not specified by Danvers. Nevertheless, we welcome all evangelicals who affirm Danvers into a coalition to advance this biblical vision. I would also add that there is room for all Nicene evangelicals in the complementarian coalition, regardless of one’s views on the current controversy. If you can affirm Danvers, we welcome you to be a part of what we are trying to do. For more on that, read my vision statement here. We need all hands on deck to meet the current challenges facing the church with respect to gender and sexuality. That is the vision we will be working on, and I am eager to build a coalition toward that end.